A 31 year old woman presented with a 6 year history of severe pelvic pain. This occurred following a chlamydia infection. 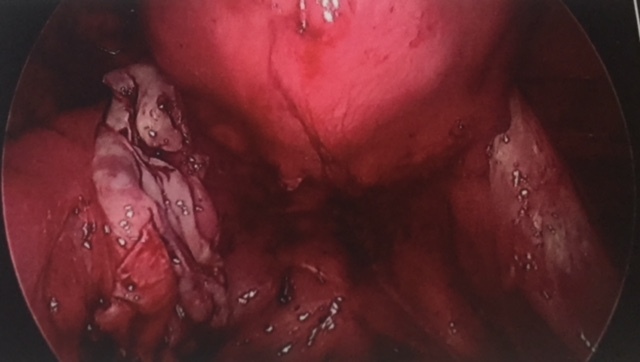 Laparoscopy revealed significant adhesions consistent with Pelvic Inflammatory Disease. The adhesions were divided and the pain resolved. Pelvic adhesions - involving bowel and pelvic organs. Meticulous division of extensive pelvic adhesions. 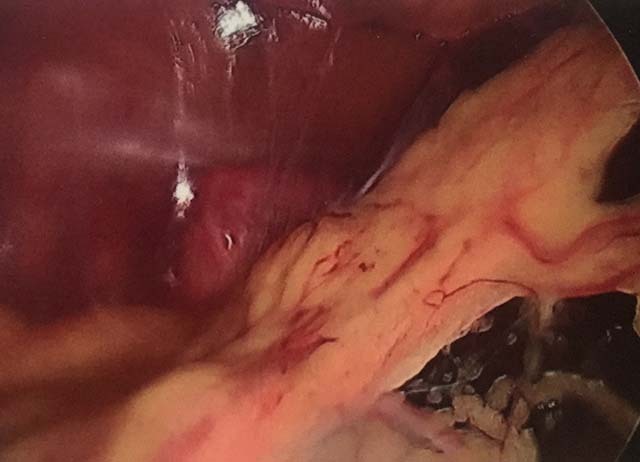 Adhesions around liver - Fitz-Hugh-Curtis Syndrome. This is seen in 1% of cases of Pelvic Inflammatory Disease. The pelvis at the end of the procedure. The adhesions have been divided.